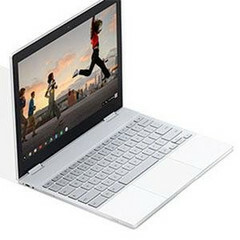 Google has invited developer to begin testing its unreleased operating system dubbed ‘Fuchsia’ on its recently released Chrome OS-based Pixelbook. Although developed in plain sight as an open source project, Google has yet to reveal any details with regard to what it might have planned for the operating system. In its current iteration, there is no GUI, so there are few clues as to how it might be deployed. Developers that have delved into the code have likened it to something like a built-from-scratch Android OS. Fuchsia will run within the open source emulator QEMU, however, as it the operating system requires Vulcan support to reveal its graphics stack, all that is currently visible on the front end to developers is a command line as QEMU doesn’t support Vulcan. A key difference between Fuchsia and Google’s Android and Chrome operating systems is that it isn’t built on the Linux kernel. Instead, Fuchsia has been built on top of Google’s own Zircon microkernel. With testing now expanding to Chromebooks, some are speculating that this could be Google’s successor to the defunct ‘Andromeda’ project that was aiming to merge the Android and Chrome operating systems.